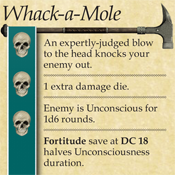 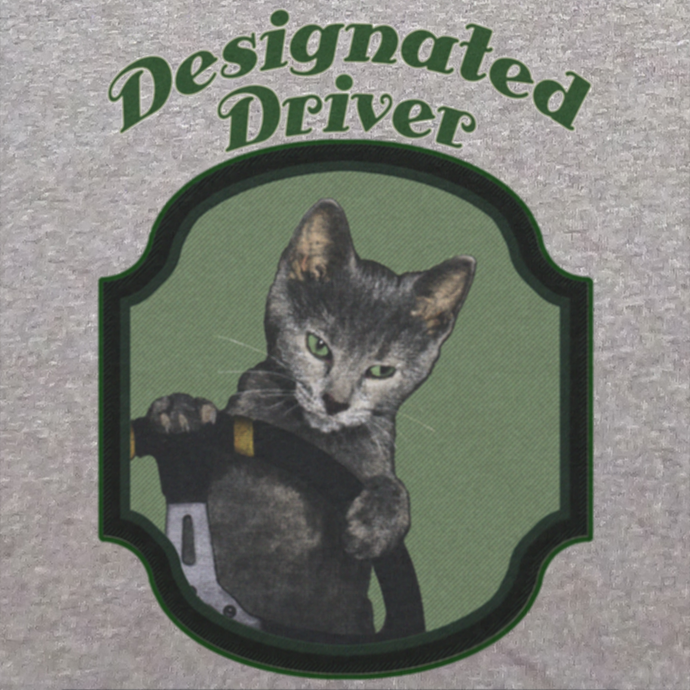 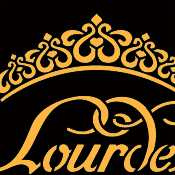 Created in Photoshop for role-playing game product. 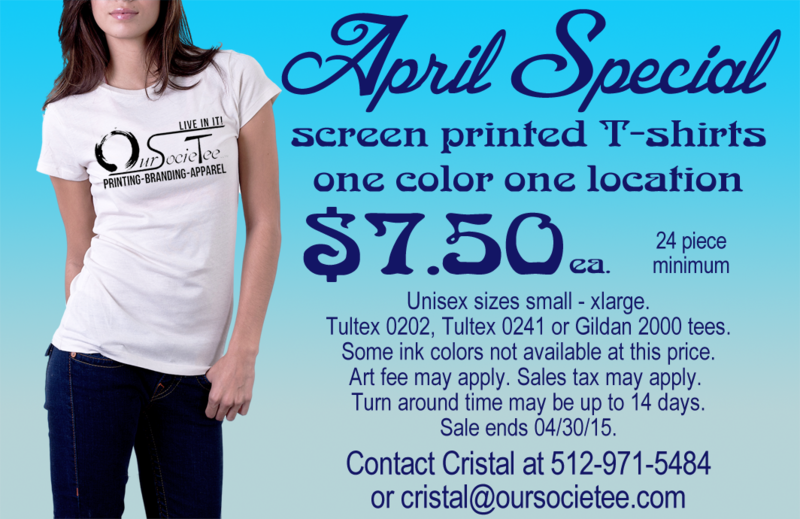 T-shirt illustration created with Copic markers and Photoshop, direct-to-garment printed. 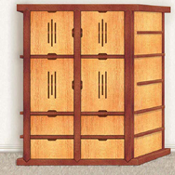 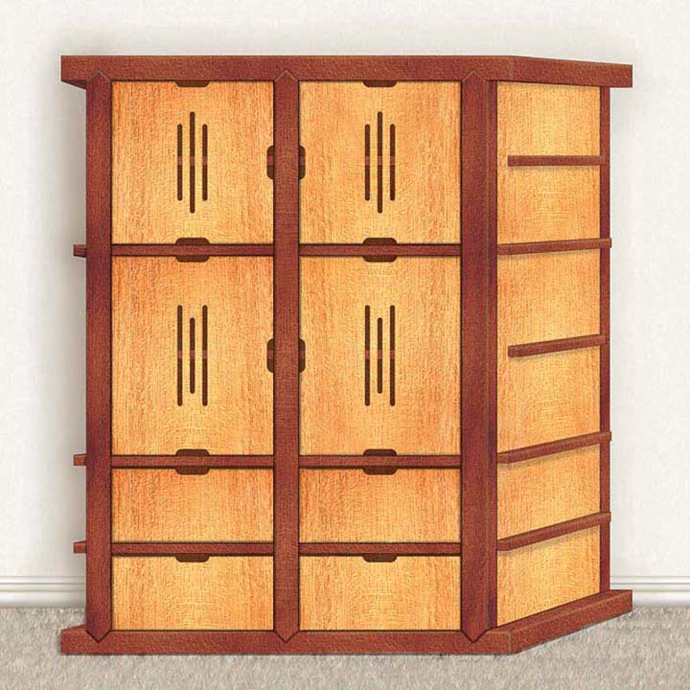 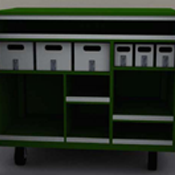 A custom oak cabinet designed and illustrated in Photoshop. 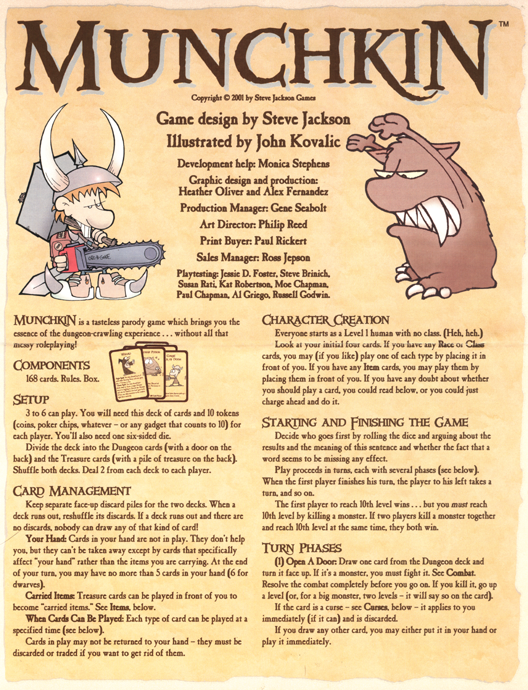 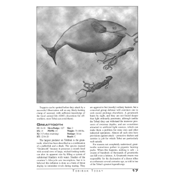 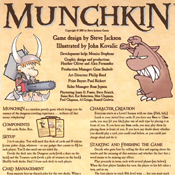 Munchkin Product Design, created in Photoshop and QuarkXPress. 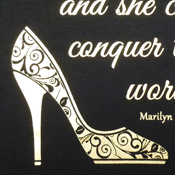 Lighting gobo created in Illustrator to be etched in steel. 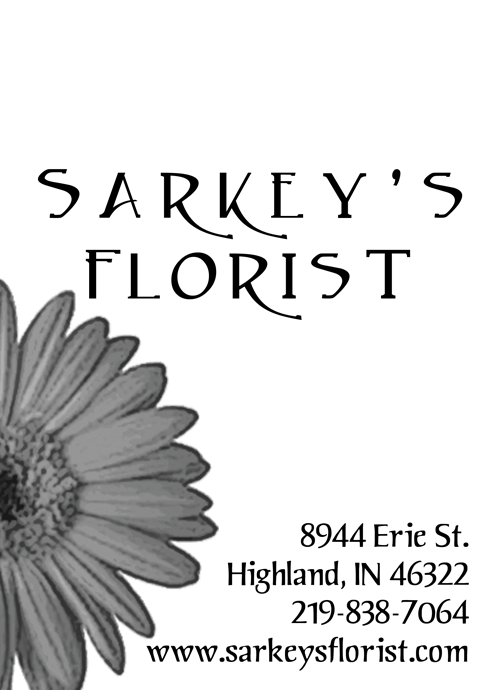 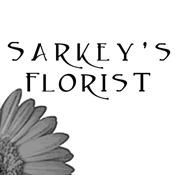 Display ad for Sarkey's Florist, created with Photoshop and InDesign. 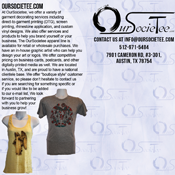 Web ad, created for Our Societee with Photoshop. 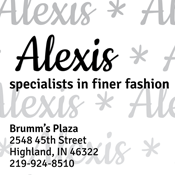 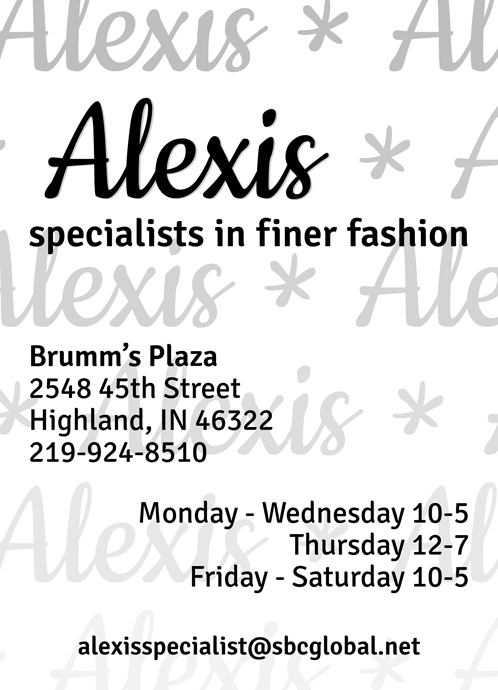 Display ad for Alexis clothing store, created with InDesign. 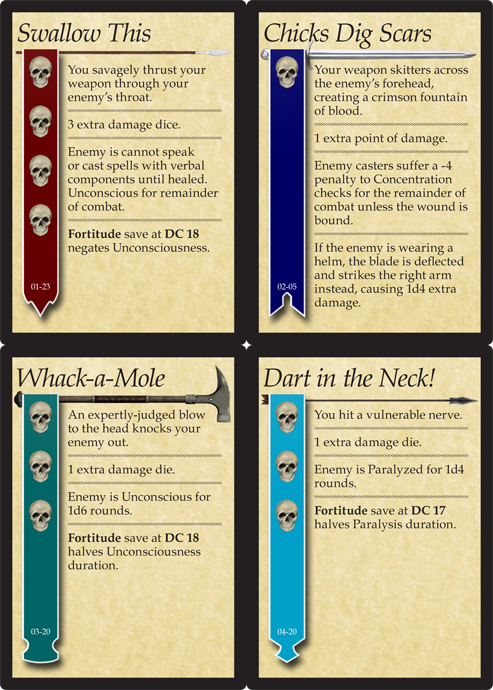 Cards created in Photoshop and InDesign for role-playing game product. 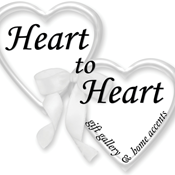 Display ad for Heart to Heart gift store, created for Northern Design Creative Services with Photoshop and InDesign. 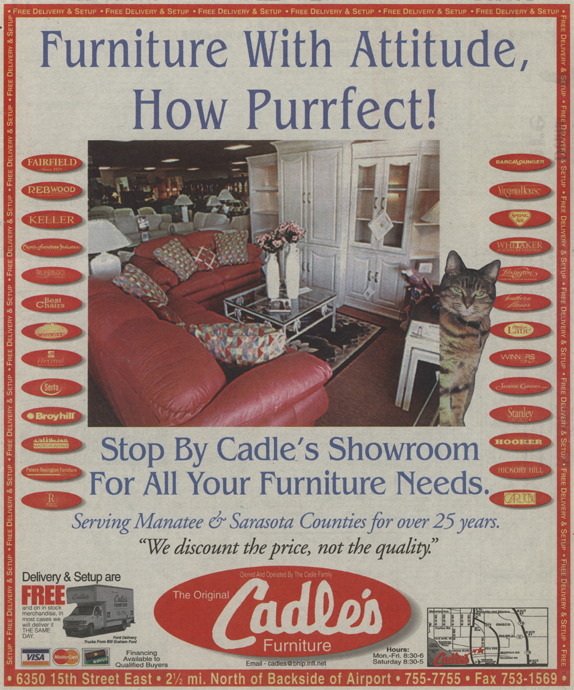 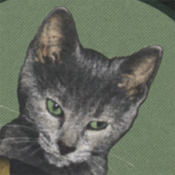 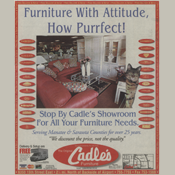 Purrfect Ad, one of a series of animal-themed display ads for Cadle's Furniture in the Bradenton Herald, created with Photoshop and QuarkXPress. 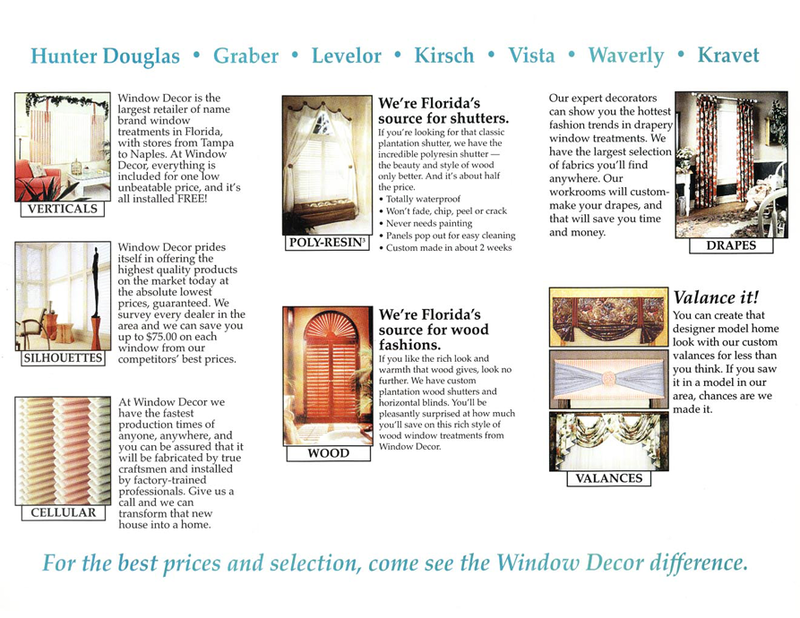 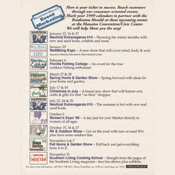 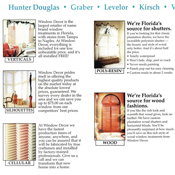 Tri-fold pamphlet for Window Decor, created with Photoshop and QuarkXPress. 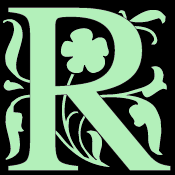 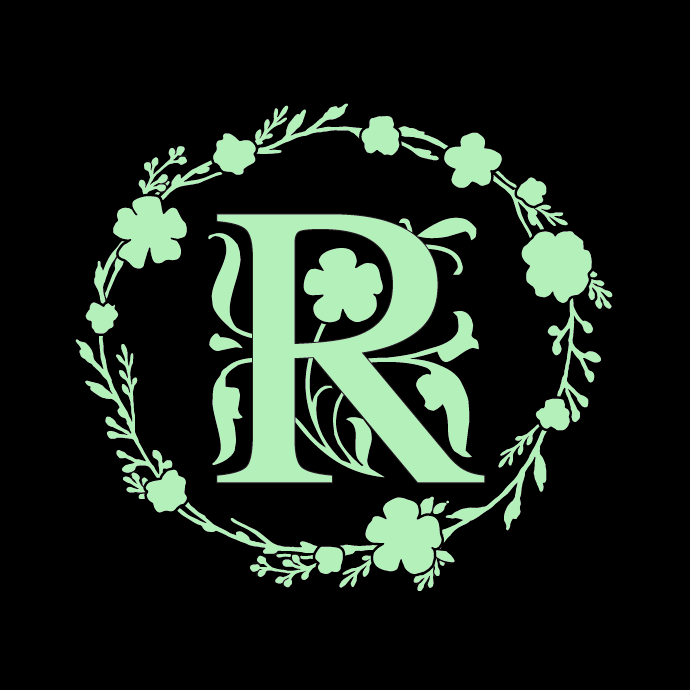 Glass lighting gobo, created in Illustrator. 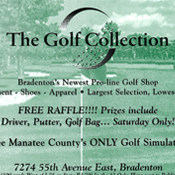 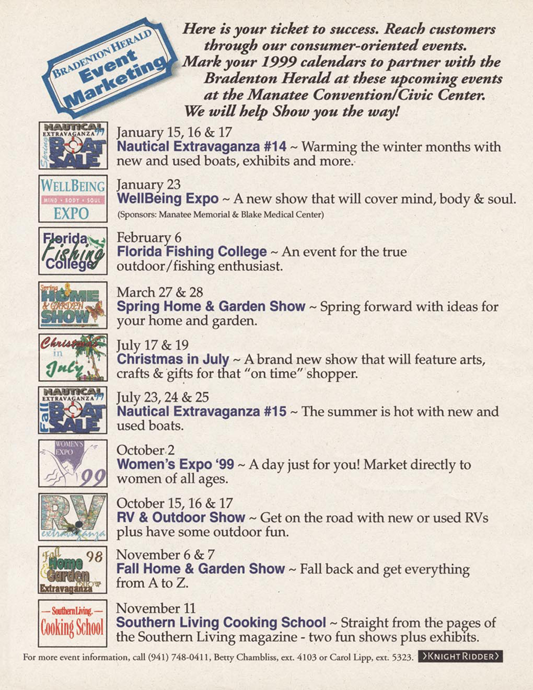 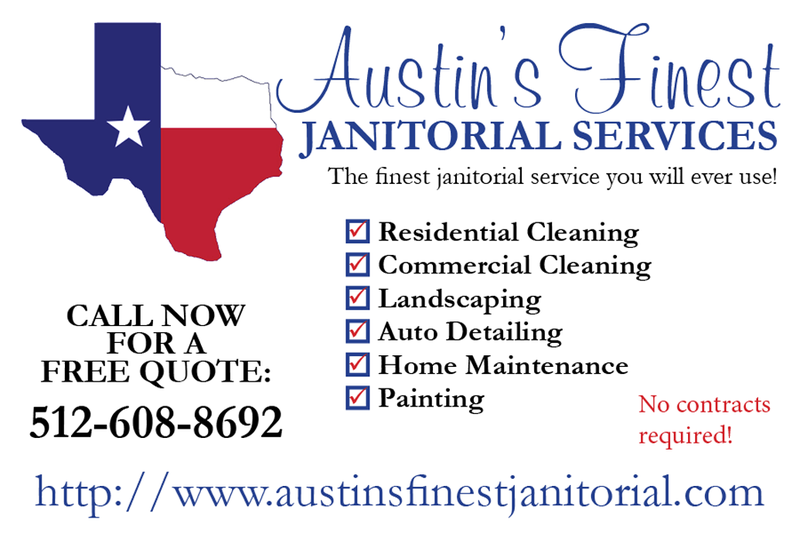 Marketing flier, created in Photoshop and QuarkXPress. 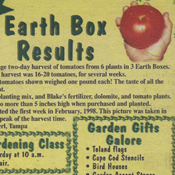 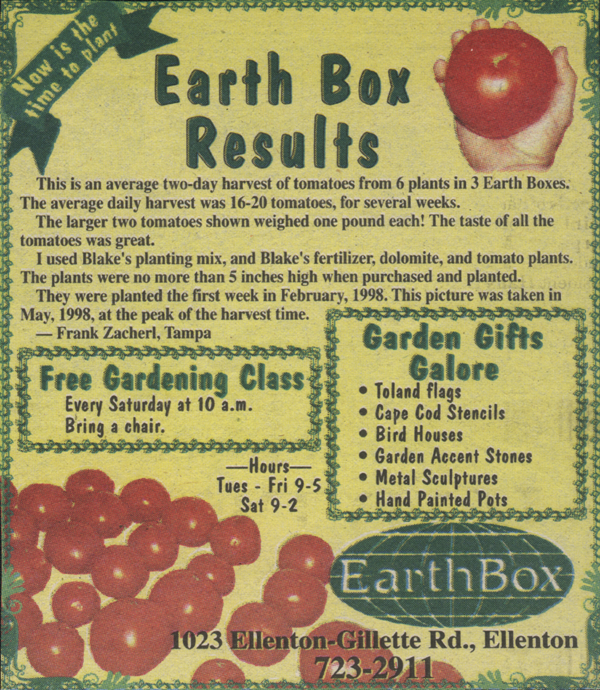 Display ad for Earth Box, created with Photoshop and MultiAd Creator. 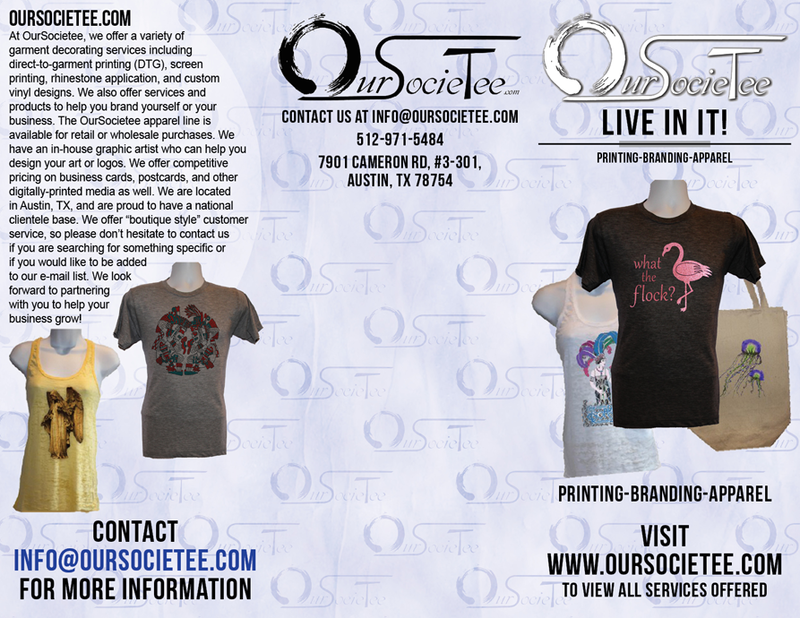 Tri-fold brochure for OurSocieTee, created with Photoshop and InDesign. 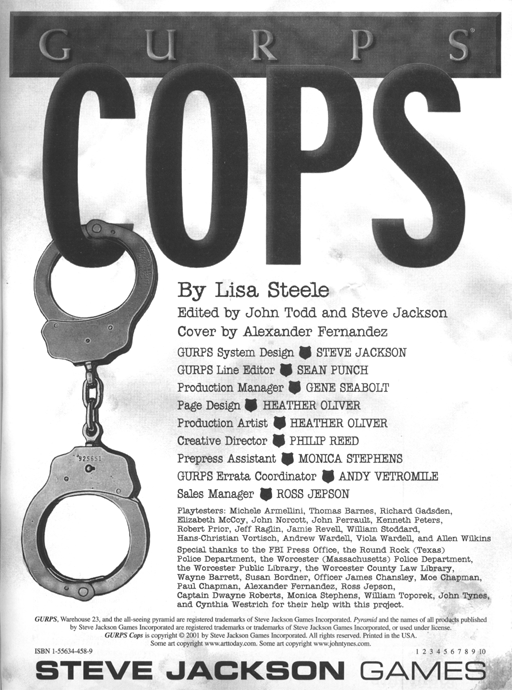 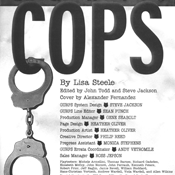 Book design and interior art for GURPS Cops role-playing game book, created in Photoshop and QuarkXPress. 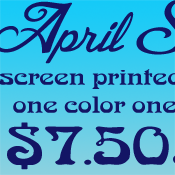 Multi-color glass lighting gobo, created in Illustrator. 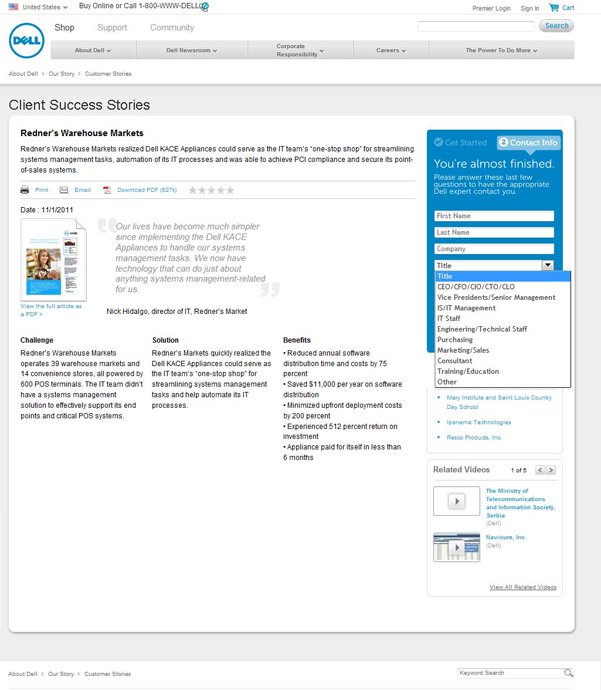 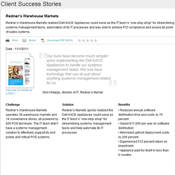 US Business Success Stories page redesign for Dell, design and production of assets using Photoshop. 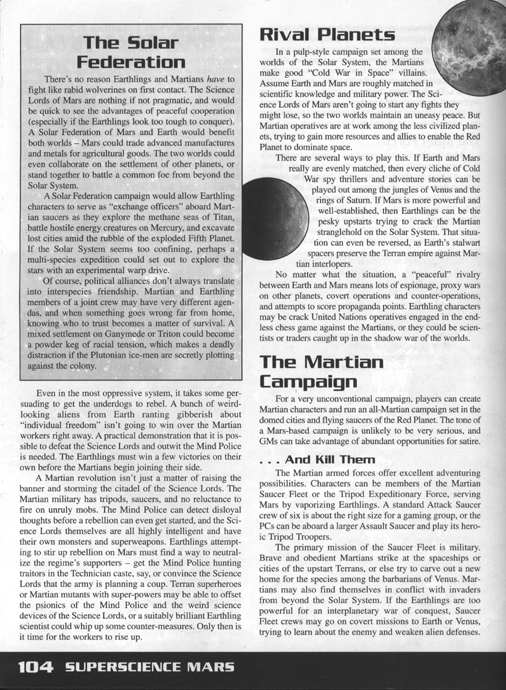 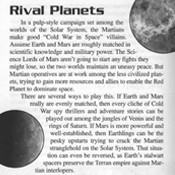 Page design for GURPS Mars role-playing game book, produced in QuarkXPress. 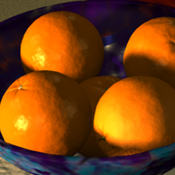 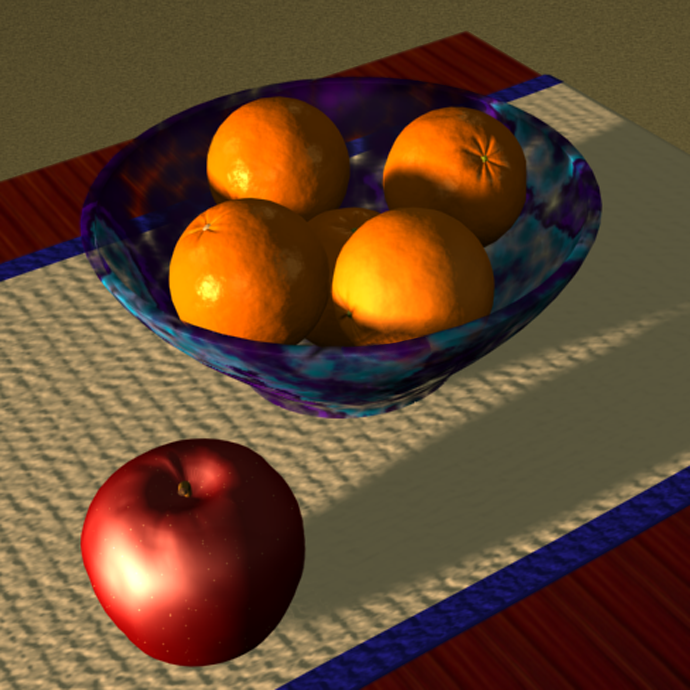 Glass bowl with tangerines and apple, created in 3D Studio Max. 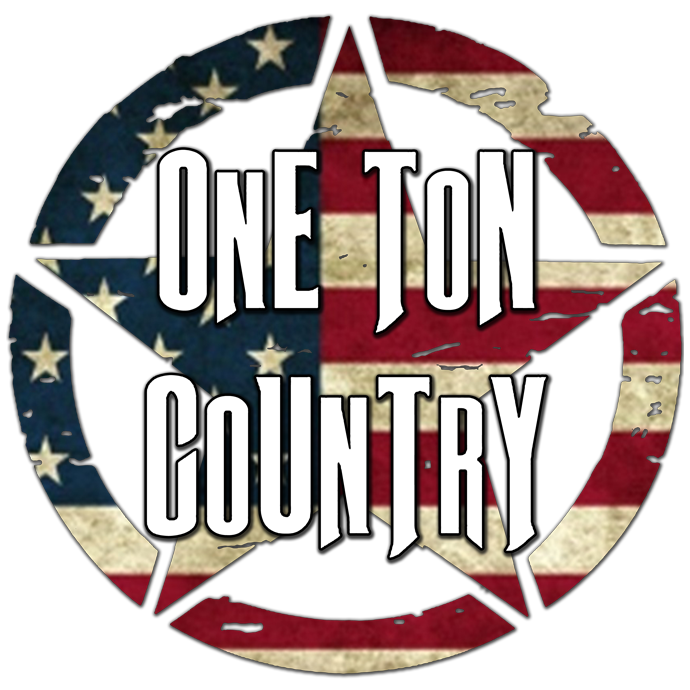 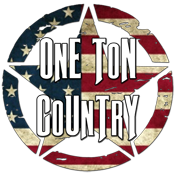 Banner and stickers for One Ton Country, designed in Photoshop and Illustrator. 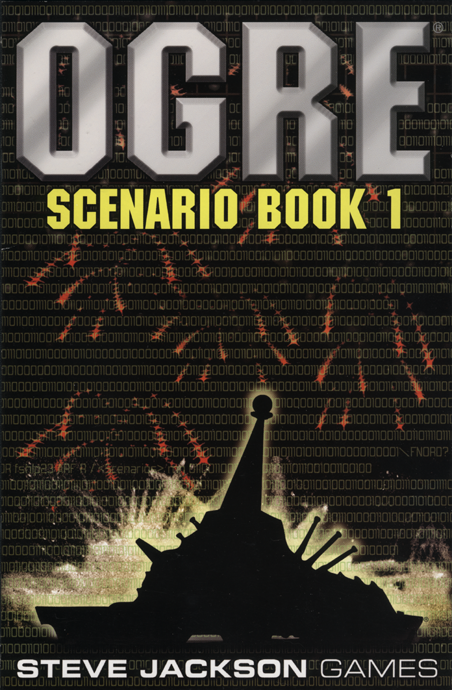 Cover for Ogre Scenario Book 1 miniatures gaming product, designed in Photoshop. 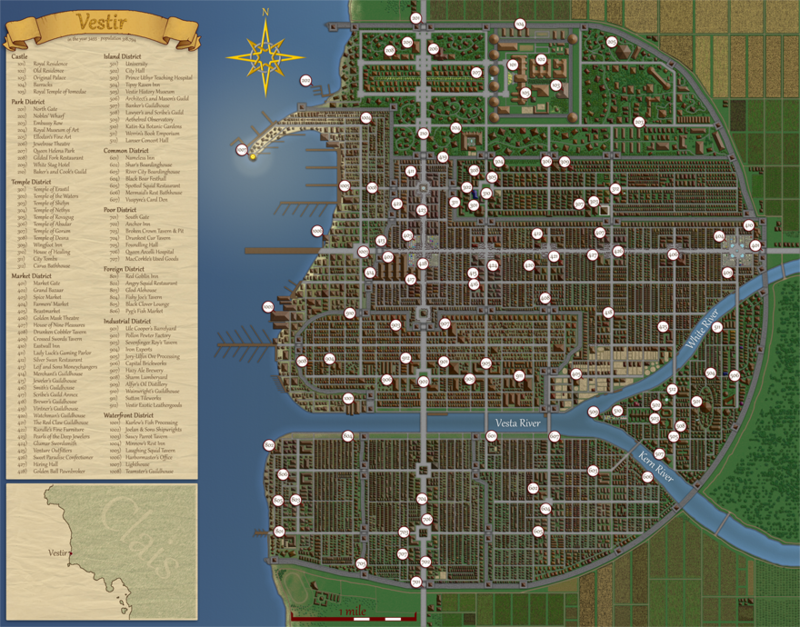 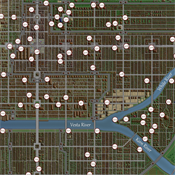 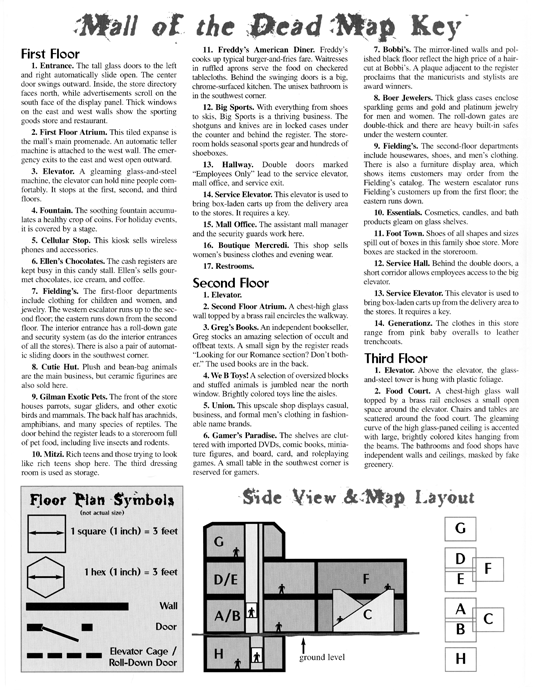 Maps for Floor Plan 4: Mall of the Dead role-playing game product, drawn in Photoshop and Illustrator. 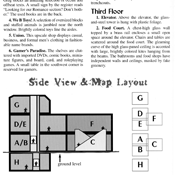 Booklet for Floor Plan 4: Mall of the Dead role-playing game product, designed in Photoshop, Illustrator, and QuarkXPress. 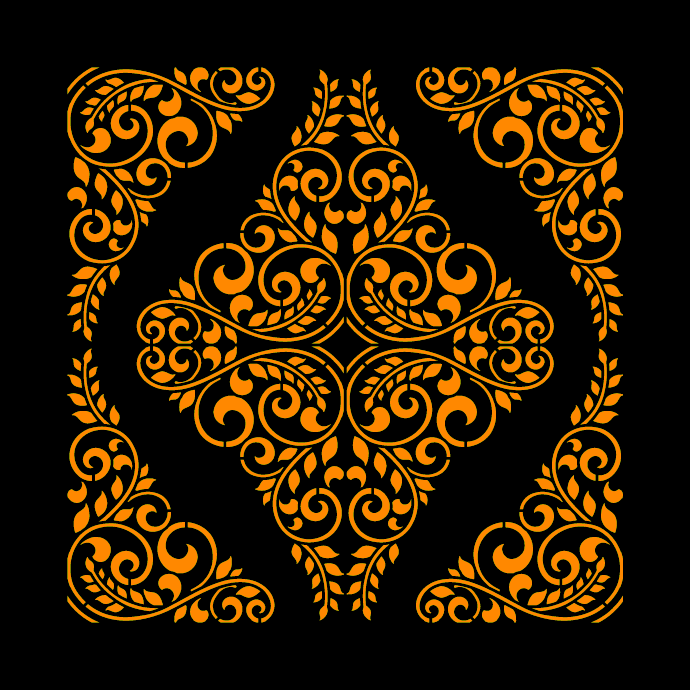 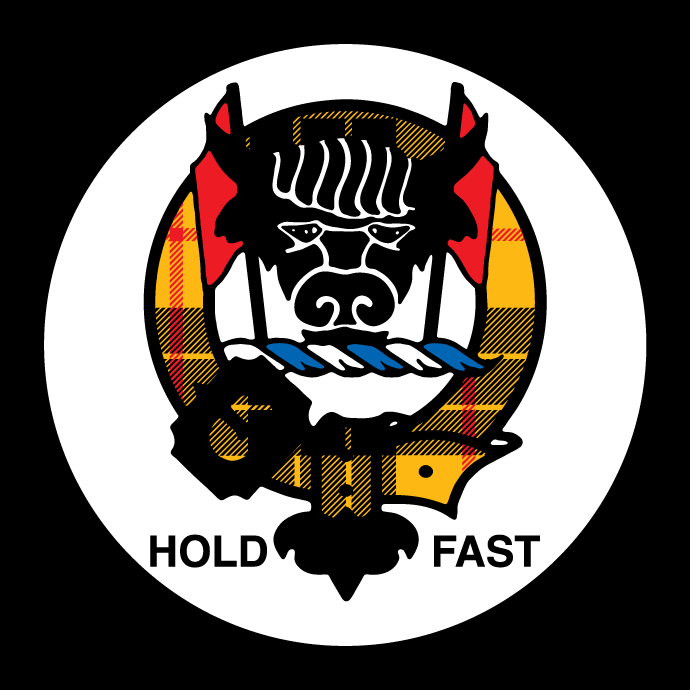 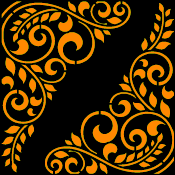 Design for steel lighting gobo, created in Illustrator. 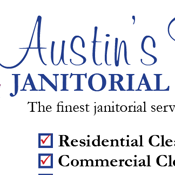 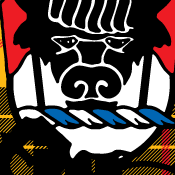 Postcard for Austin's Finest Janitorial Services, created in Illustrator. 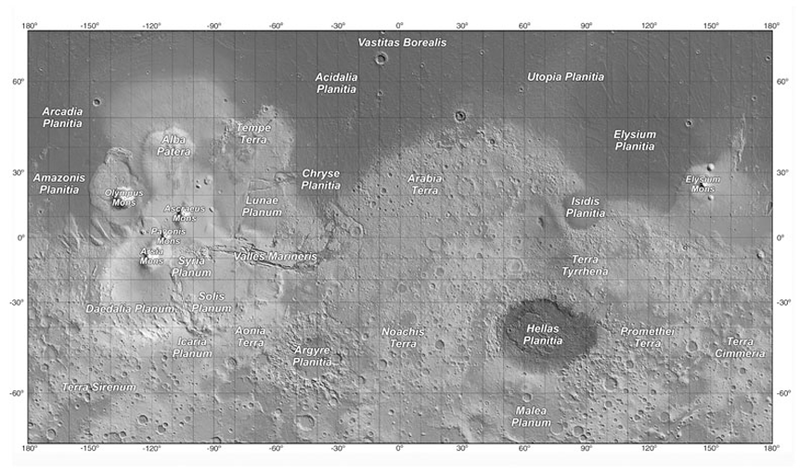 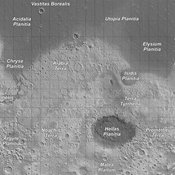 Topographical Map, for GURPS Mars role-playing game book, created with Photoshop and Fractal Terrains, based on NASA's laser mapping data. 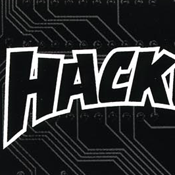 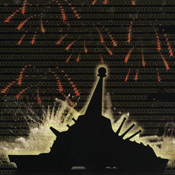 Cards for Hacker game, produced in Photoshop and QuarkXPress. 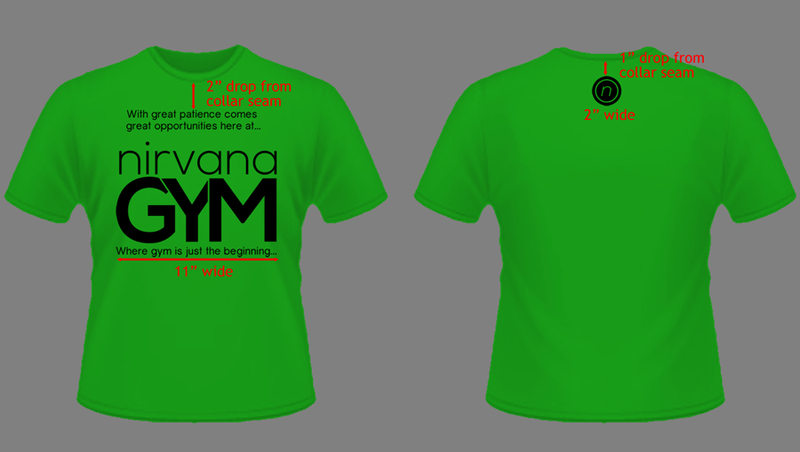 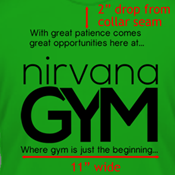 Pre-production art for Nirvana Gym t-shirts, created with Illustrator and Photoshop. 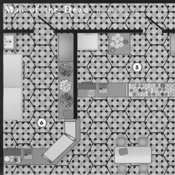 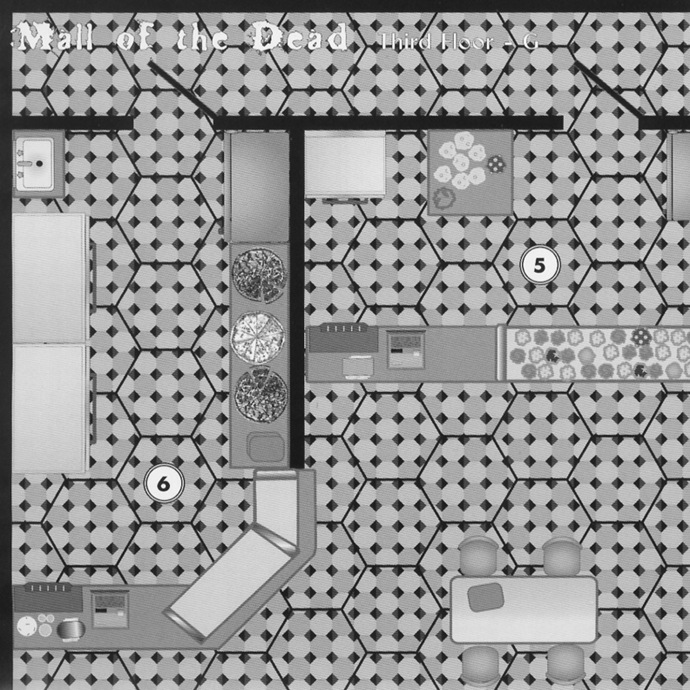 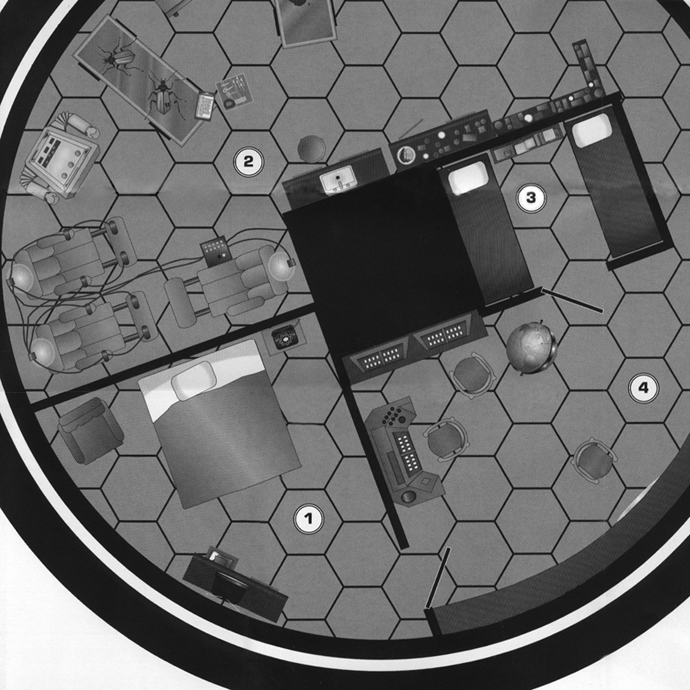 Maps for Floor Plan 3: Underground Lab role-playing game product, designed in Photoshop and Illustrator. 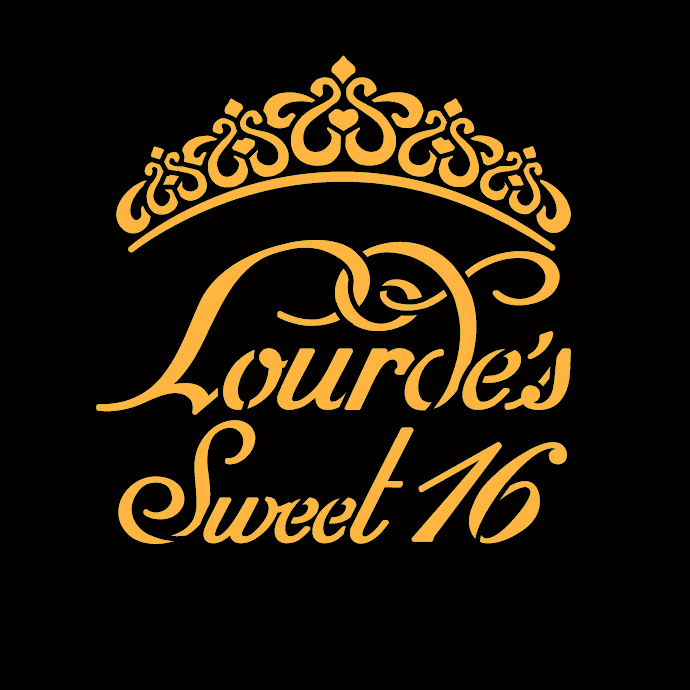 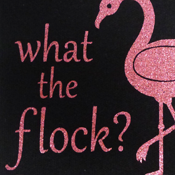 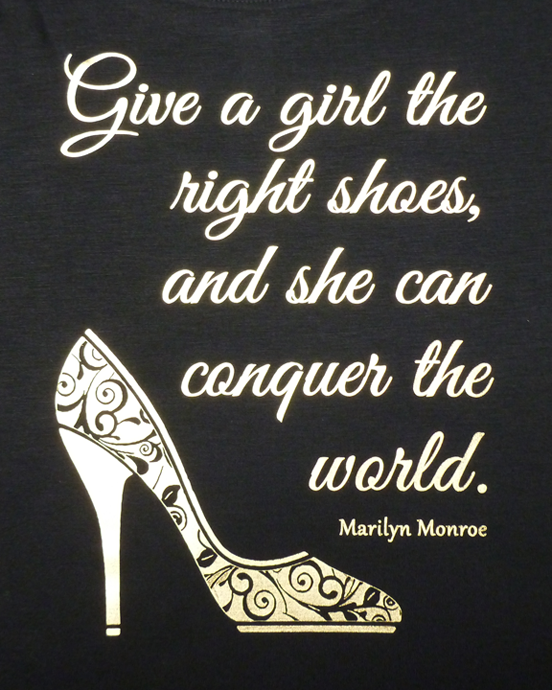 Pink glitter vinyl graphics for t-shirts, leggings, and can coolers, created in Illustrator. 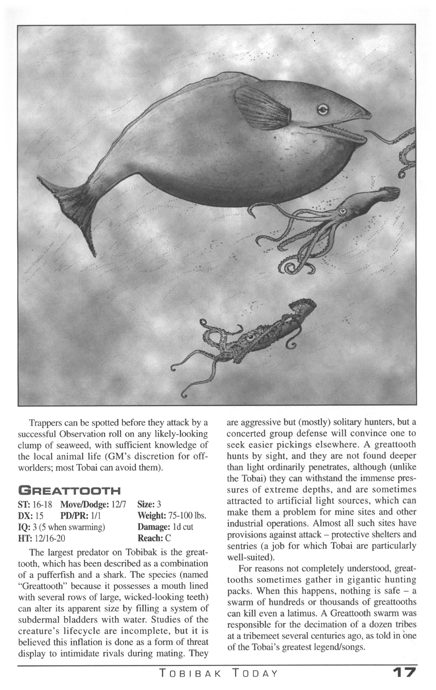 Page design and art for GURPS Traveller Tobibak role-playing game book, created in Photoshop and QuarkXPress. 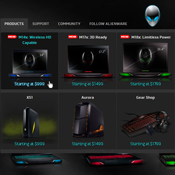 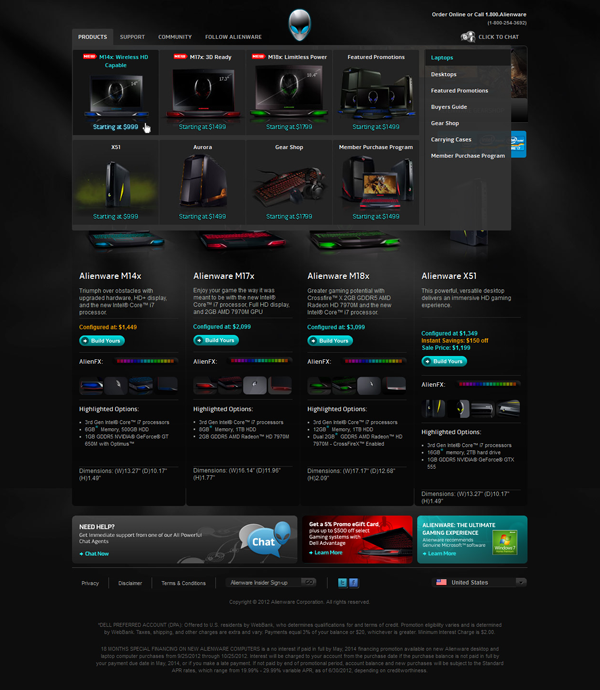 US Consumer Alienware homepage pricing redesign for Dell, design and production of assets using Photoshop. 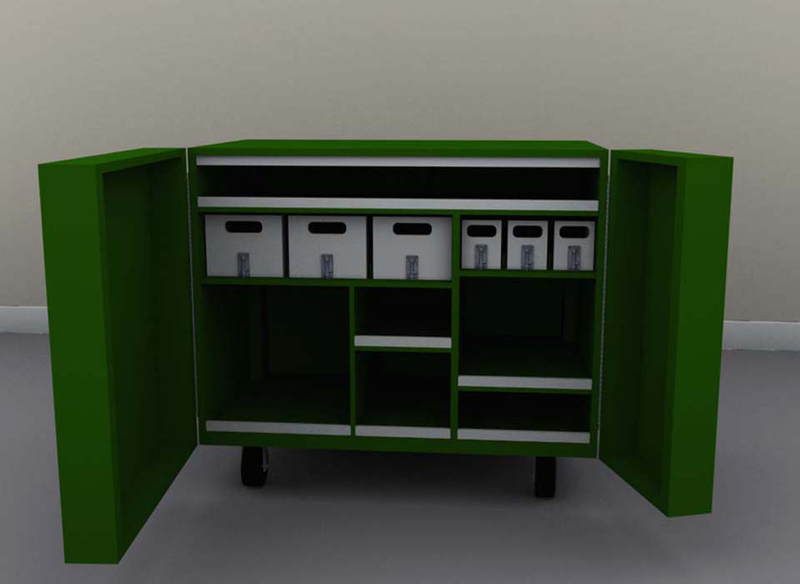 Theatrical touring roadbox designed in 3D Studio Max. 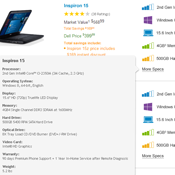 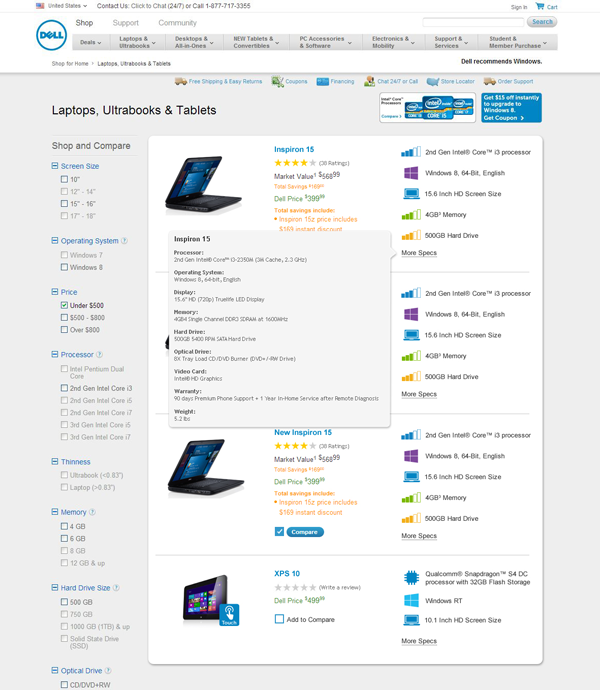 US Consumer laptop homepage shopping navigation redesign for Dell, design and production of assets using Photoshop. 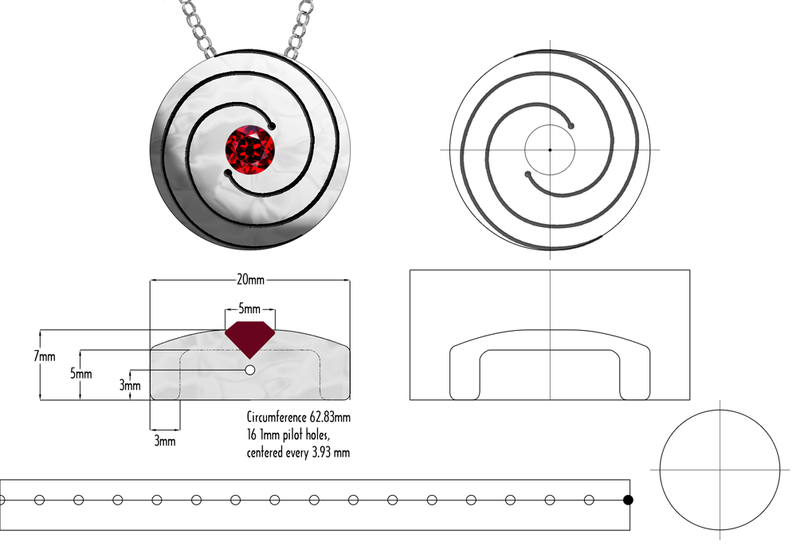 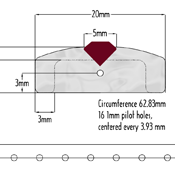 Pre-production diagrams of a silver pendant, created in Photoshop. 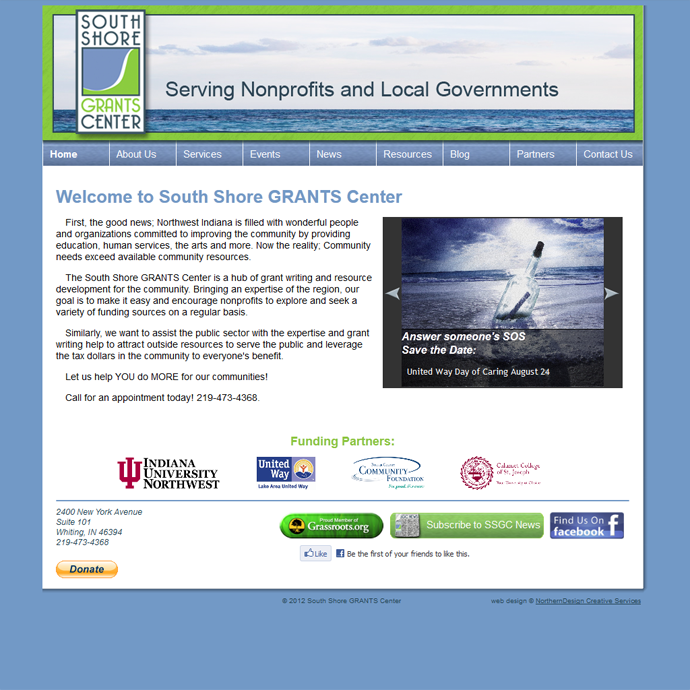 Logo and art assets for MSI Forecaster web page, created in Photoshop. 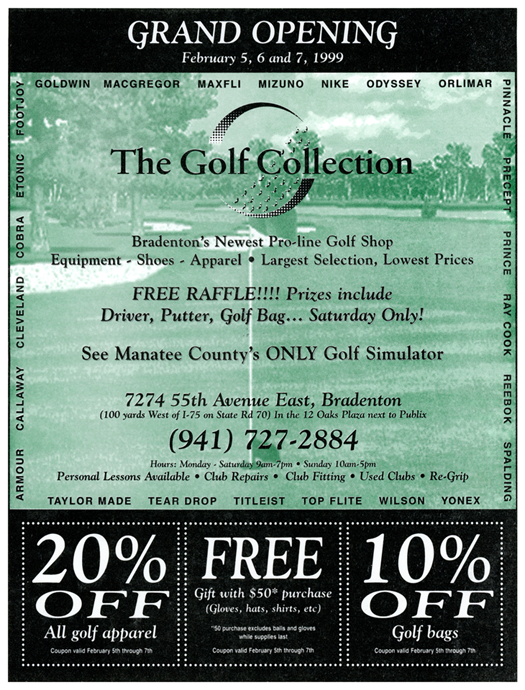 Flier for The Gold Collection, created in Photoshop and QuarkXPress. 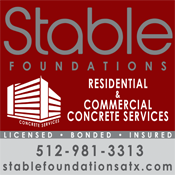 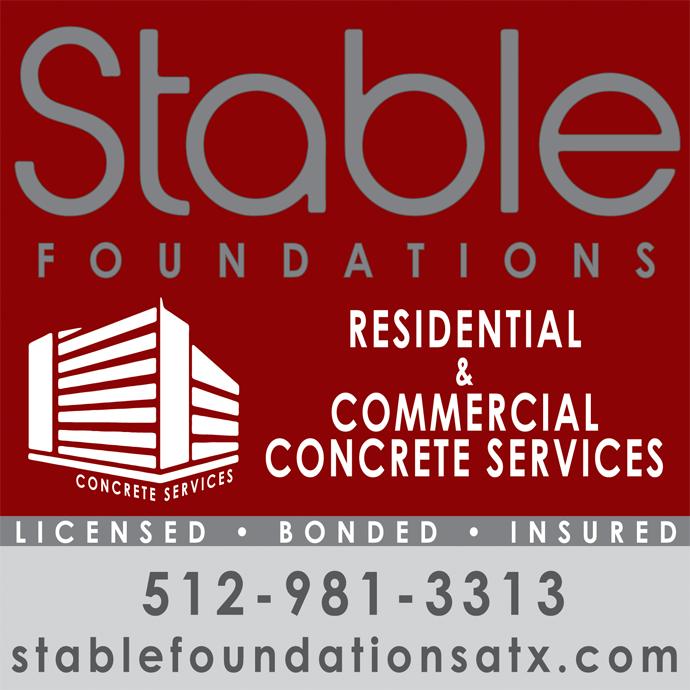 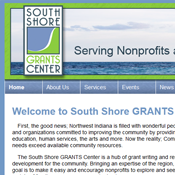 Banner for Stable Foundations, created in Illustrator. 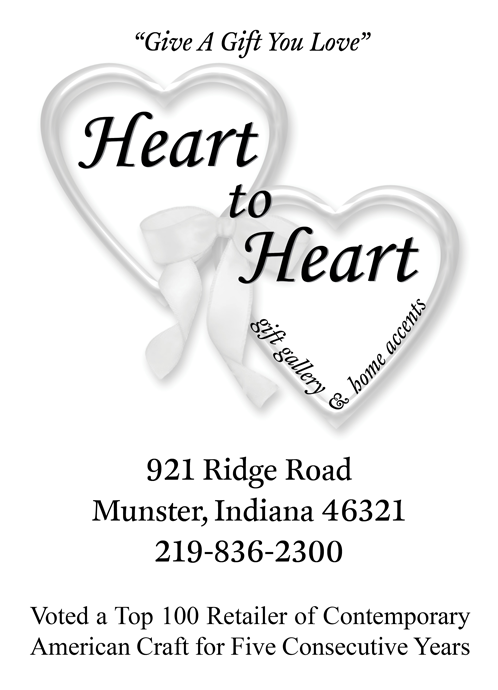 Heat-set vinyl graphics, created in Illustrator.